The Pismo Beach City Council voted unanimously Tuesday to place a ban on Styrofoam food and drink containers. Barring a reversal of the vote, the Styrofoam ban will take effect on Jan. 14. More than 80 cities in California have enacted similar bans on Styrofoam containers. In July, San Luis Obispo became the first city in the county to do so, and the Pismo Beach ordinance is largely the same as the ban adopted by the SLO City Council. The ordinance approved by the Pismo Beach council will bar food providers and vendors in the city from distributing food and drinks in Styrofoam containers unless they are encased with a more durable material. 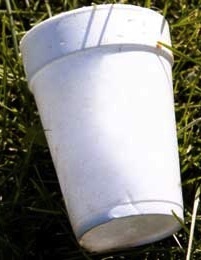 Restaurants and food vendors must replace prohibited Styrofoam containers with containers that are biodegradable, compostable or recyclable. Violators of the ordinance will be subject to fines. First-time offenders can avoid the fine, though, if they buy recyclable containers. The Pismo Beach council is scheduled to formally adopt the ordinance at its Dec. 15 meeting. Two majority votes for the proposed regulation are required for it to become an ordinance. In Sept., the Morro Bay City Council also endorsed a ban on Styrofoam products. Morro Bay city staff is currently in the process of drafting an ordinance. Do whining college students respect free speech? More feel good…but do nothing moves from the left. This is a good move; Styrofoam is one of the least able to be recycled products made, and it is also made from petroleum products. A lot of more forward thinking cities and counties have already made this move, and all of the businesses in those areas have adapted. Economically, this isn’t that big of a deal for most businesses, but ecologically this is a very positive step forward. Thanks for your expert reply “Economically, this isn’t that big of a deal for most businesses”. I guess neither is the 20% increase in minimum wage in last 18 months, neither is the addition of sick pay to all employees including part time 1 day a week high school kids. Its so great to have experts out there who say everything is not a big deal and then they are the first to complain when it impacts their pocket. By the way, the increase in cost is approximately 100% for the recyclable containers. Forget all the bull you hear otherwise.